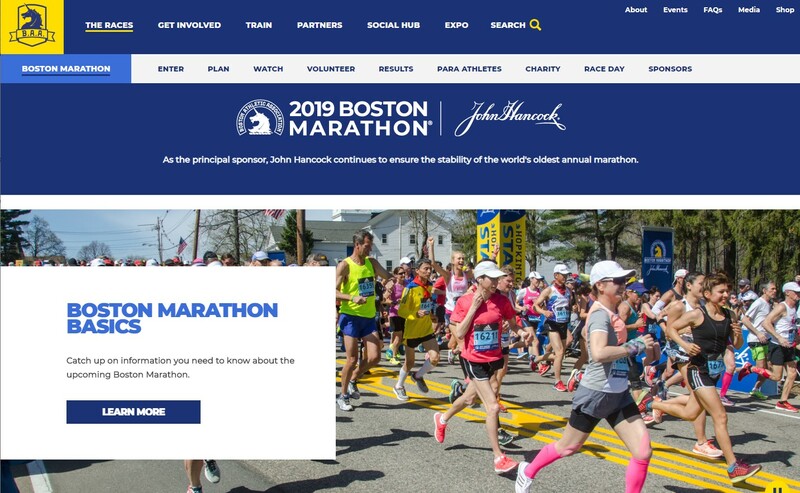 On Monday, I posted that there were 27 Franklin residents scheduled to start the Boston Marathon. 16 men and 11 women with the following distribution by age group. 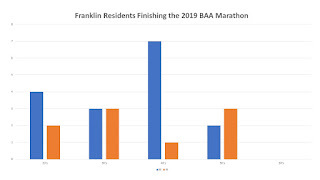 After the race I can share that 25 Franklin residents completed the full course per the official results. Note: due to the data available from the results, I don't know if the 2 'missing' runners did not start the race, or started and did not complete the race.